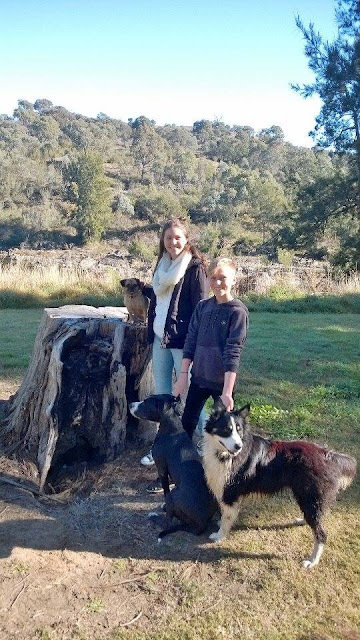 Looking for dog friendly picnic spots around the ACT? 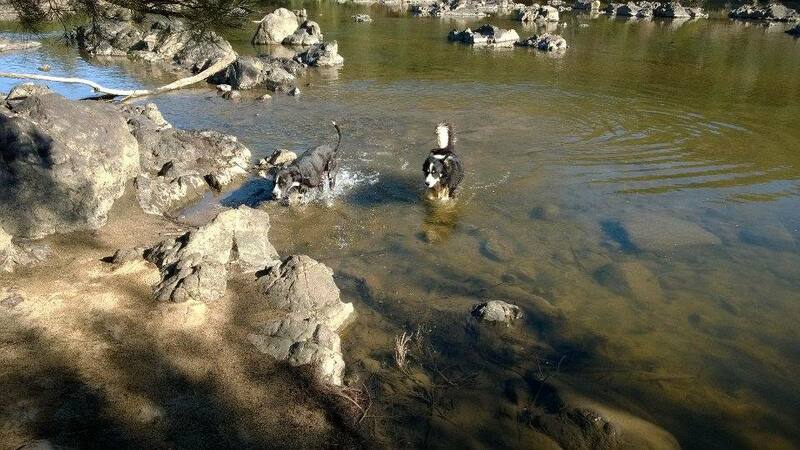 One of our favourite dog and kid spots in Canberra is Uriarra Crossing. Uriarra Crossing is located where Uriarra Road crosses the Murrumbidgee River. It's a very green and tree lined picnic area that has the beauty of the river with the ambiance of the woods. 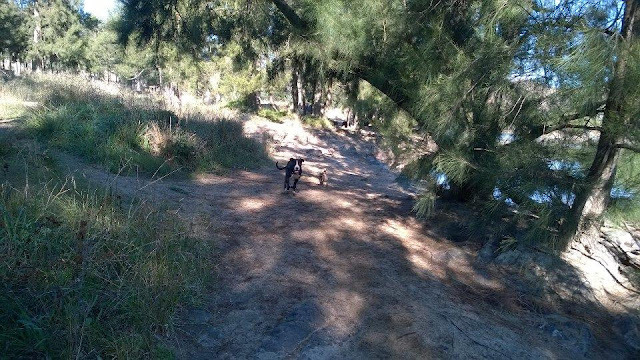 During summer it's a great spot for a quick dip and to stay cool in the shade of the trees. 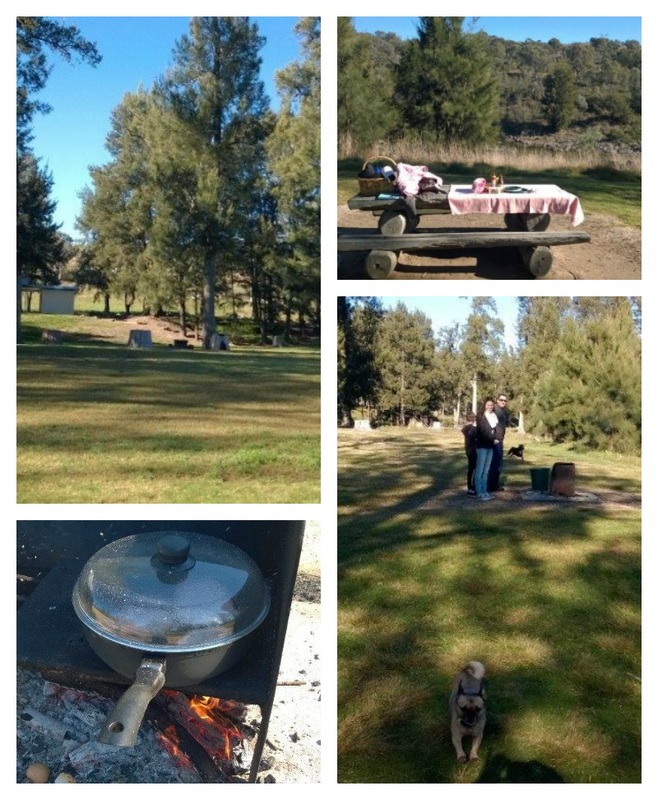 In winter it's fab for it's little sunny spots and wood-fired barbecues. There are a heap of big wooden picnic tables dotted through the area and also plenty of BBQs. The best part for us is that dogs are welcome at the river and picnic areas. Plus there are toilet facilities for the Deep Fried small bladdered people like me. There is plenty of space for playing games with kids (and dogs) with soccer, cricket and frisbee all favourites for us. There are days when the area is absolutely packed with people and dogs, so if you're not really feeling like having dogs sniffing your crotch or stealing your sausages, then perhaps steer clear of Uriarra during the popular spring months. We once went there to discover we had landed in the middle of some sort of Labradoodle convention. #canineoverload. Things to note: They prefer you don't take dogs on any of the walking paths; there are no bins so you need to take your rubbish home with you; please remember to take poo collection bags to keep the area tidy; it's BYO firewood for the BBQs; apparently using wood from fallen branches is illegal; there is very limited phone reception. For more information about Uriarra Crossing click here.